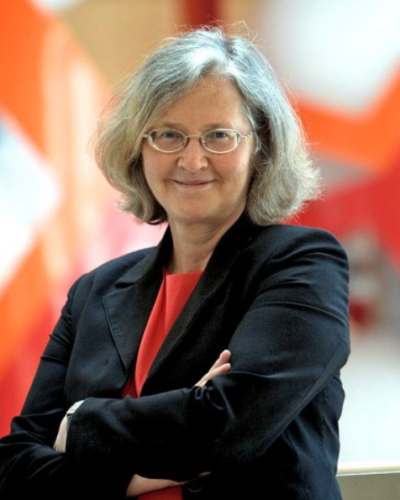 Elizabeth Helen Blackburn, (born 26 November 1948) is an Australian-American Nobel laureate who is currently the President of the Salk Institute for Biological Studies. Previously she was a biological researcher at the University of California, San Francisco, who studied the telomere, a structure at the end of chromosomes that protects the chromosome. Blackburn co-discovered telomerase, the enzyme that replenishes the telomere. For this work, she was awarded the 2009 Nobel Prize in Physiology or Medicine, sharing it with Carol W. Greider and Jack W. Szostak, becoming the only Tasmanian-born Nobel laureate. She also worked in medical ethics, and was controversially dismissed from the Bush Administration's President's Council on Bioethics. DIRECTOR'S NOTE: IT WAS A GREAT HONOR FOR THE STEAM LEADERSHIP SERIES TO HAVE NOBEL LAUREATE ELIZABETH BLACKBURN KEYNOTE "WOMEN IN BIOTECH-2" AT THE SALK RESEARCH INSTITUTE, WELCOMING 300 YOUNG WOMEN FROM SIX DIFFERENT HIGH SCHOOLS AND ALSO INTRODUCING AN ANIMATED AND IMPASSIONED PANEL OF YOUNG SCIENTISTS AND EXECUTIVES FROM ILLUMINA, THE SAN DIEGO ZOO GLOBAL, AND THE SALK ITSELF.